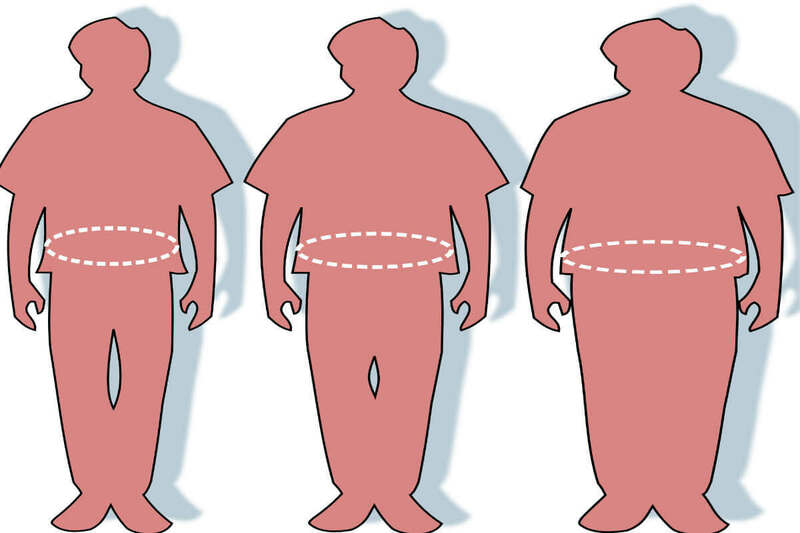 6 Rarely Known Obesity Causes and 3 Way to Prevent it! The two main obesity causes are eating more than the body actually requires and doing very little physical workout to compensate that. Obesity is a condition where an individual has a Body Mass Index (BMI) greater than 30 Kg/m2. It is a malaise, a disease seen in adults and children alike. Worldwide, 1 in 3 adults is considered to be obese. What you shouldn’t opt for to lose weight! Obesity in children is no different; more than 1 in 6 children and adolescents in the age range of 6 to 19 are considered obese . In fact, recently TOI has reported that obesity in India has spiked up so much that it made the country become the second nation in the world with most obese children, after China. 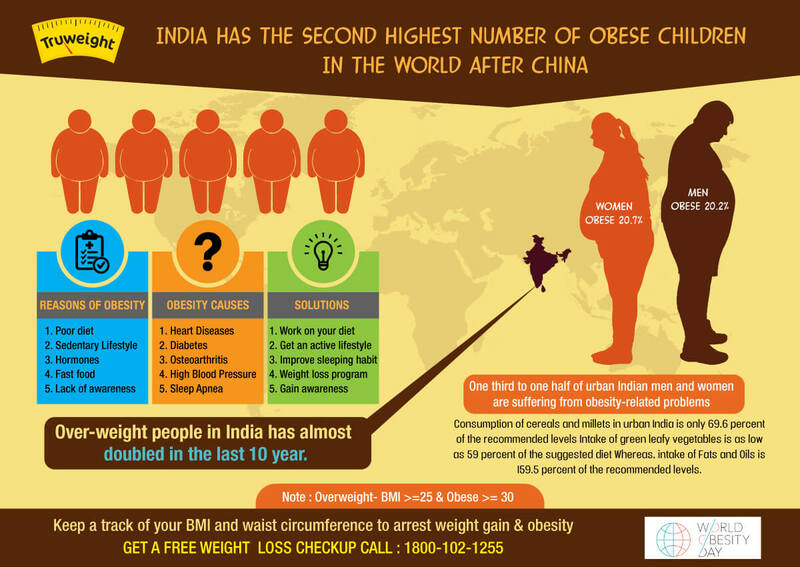 The situation in the urban areas is such that, 1 in 3 urban Indians is weighing towards the overweight or obese side. So what makes India gaining weight in this way? As mentioned above, obesity causes when the BMI limit given by the WHO. It is a bodily condition marked by excessive deposition and storage of fat which develops gradually with time and does not happen overnight. While a BMI of 25 is considered to be healthy internationally, it has been reported that for Indians, more precisely the South Asians, the health quotient according to the BMI number may change. 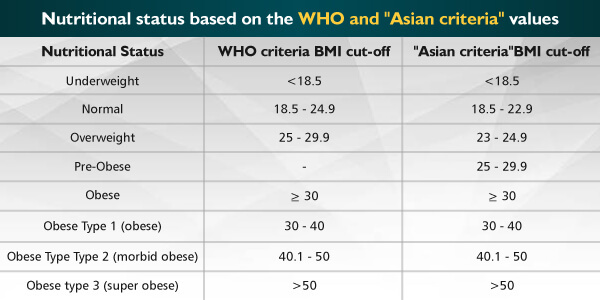 Here’s a table depicting the BMI ranges recommended by WHO and the Asian criteria values. 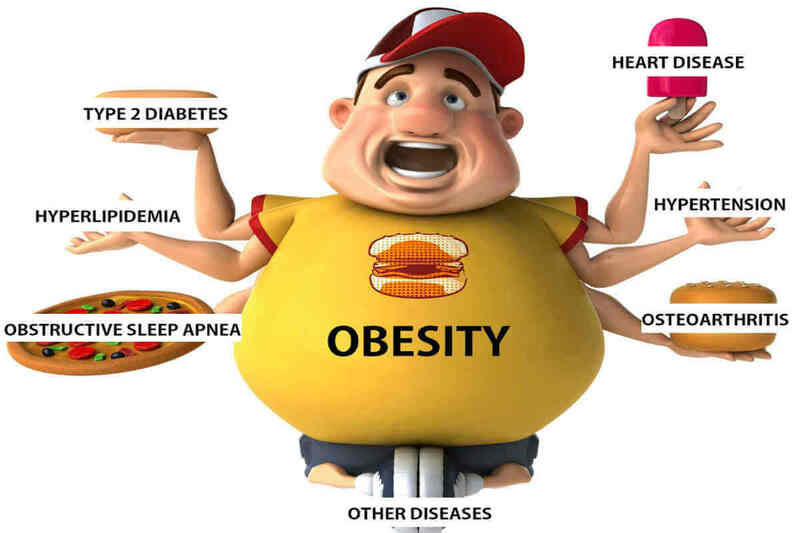 Here’s a detailed explanation on why obesity is now commonly prevalent among us. Both overweight and obesity are a result of eating an excess of high-energy foods laden with fats and sugar. These come in the form of highly processed comfort foods, restaurant foods, sugary colas and drinks among others. Couple it with a sedentary lifestyle and you will indeed record a higher number on the weighing scale. Partying hard (too much alcohol), a sedentary lifestyle is sure to result in overweight and obesity. Especially gorging on fast foods and junks always contribute to weight gain. While cars, bikes have become adult indulgences; children can blame their gaming consoles and computers for rising obesity causes. All these technological causes of obesity are seen on our belly (as the tough-to-lose belly fat). Don’t let sleep evade you as an irregular sleeping pattern or lack of sleep also make a person obese due to them being inactive and groggy all the time. There are hormones that make or break your weight. Did you know, thyroid hormones control the rate of metabolism? Any ups and downs in them seriously affect your body’s ability to utilize stored fat. Similarly, insulin is a known fat-storing hormone. PCOS is a condition that results in insulin resistance too. Adding to insulin are cortisol (stress hormone), ghrelin (hunger-inducing hormone), two of the fat storing hormones in the body. Hence, knowing your hormonal conditions can be a great way to inhibt the obesity causes. Except for the rare genetic condition, ‘Prader-Willi syndrome’ which causes obesity, there are no other genetic conditions which stop people from losing the weight that they’ve gained. d) High likeliness for serious diseases like coronary heart disease, high blood pressure, hypertension, and diabetes to name a few. If you thought this was scary, you need to read what are the consequences of childhood obesity. While science may tell us what are the consequences of this obesity disease, it can also give us the solutions and the way to prevent obesity. Although there is no fixed medicine for obesity treatment, there are a few modifications in eating habits and lifestyle that can be helpful in fighting down obesity causes and its health effects. The first and the foremost on our list for natural obesity treatment is diet. You are what you eat. So if you eat processed foods that are cheap and easy, well you got the point! How to counter it? Include superfoods like quinoa, oats, psyllium husk, whole grains, fruits and vegetables as they give fiber and micronutrients. Here is a list of 12 superfoods that is a must-include in the diet. Well, leading a physically active life is something everyone is aware of. Either they overdo it by working out 2-3 hours in the gym, or they grossly undergo it by going for a jaywalk. The equation for weight loss is 70% diet and 30% exercise. It is recommended to have indulged in 30 minutes of moderate-intensity activities like climbing stairs, walking, jogging, yoga, running or whatever pleases you, 5 times a week. 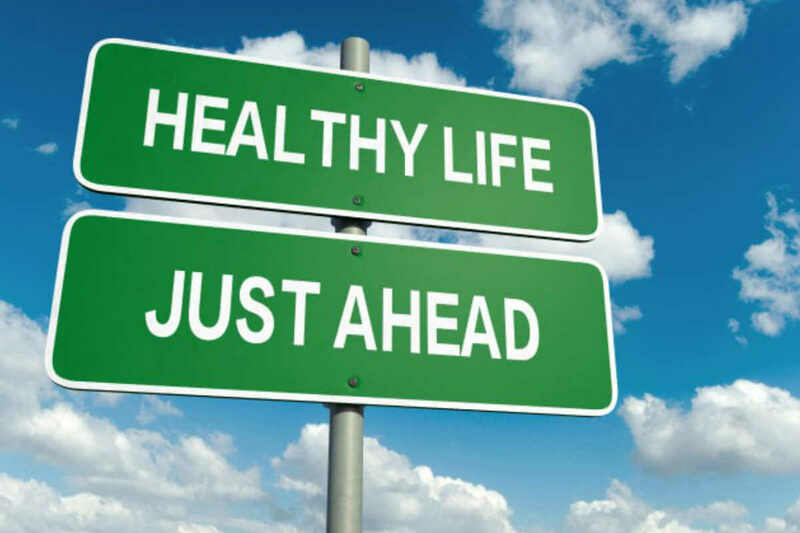 Good weight loss programs often promote lifestyle changes and diet modifications as the two pillars of obesity treatment. They also help people connect with a similar group of individuals dealing with the same weight issues. This acts as a great motivation and nurtures healthy relationships keeping one from deviating from their weight loss plan. Now a good weight loss program that is based on science will not ask you to skip any meal or eat just 1 type of food (read salads). How to judge? You must ask these 5 questions before you join any weight loss program to know if they are true and science-backed. If you are looking for a weight loss program that doesn’t just help you in reducing inches but also helps in maintaining a healthy lifestyle, talk to Truweight Nutritionist now. The first consultation is absolutely FREE! Avail it here. While trying to lose weight or finding obesity treatments, we often look for easy solutions and that is where we make the mistake. The weight loss industry is full of easy but unhealthy ways of weight loss. The most important things about them are that they often come with side-effects and are not sustainable. There are medicines approved by the FDA which people take as obesity treatment too. Most of these medicines do not have ample studies to back their effectiveness and often result in withdrawal symptoms. We highly recommend losing weight the healthy way by eating healthy food and exercising. Although they are also the options but then again, they have risks associated with them as every surgery does. If you can cut down several kilos and inches simply by eating right, just like Anant Ambani, then why opt for these surgeries? Q. How do you determine obesity? A. Basiccally, BMI is the simplest measurement of determining if you fall into the obese category that we generally follow. Q. What counts as obese? A. According to the WHO, a BMI of 30 Kg/m2. Q. Is BMI really a good measure of obesity? A. Athough it is not the most accurate, BMI is considered as the standard measure of obesity. Are you still thinking about whether you should take that crucial step towards weight loss? The first step towards against obesity causes, its effects and symptoms, is to set proper and healthy weight loss goals. Let us tell you how to keep your weight loss goals and expectations real. To help you with it, here is an Indian weight loss diet plan just for you. So don’t wait too long before stepping towards a healthier future, lest your wait may turn into weight.